Please note this antibody is now raised in Rabbit. Concentration varies from batch to batch, usually 0.5 mg/ml to 0.7 mg/ml. Our Abpromise guarantee covers the use of ab14936 in the following tested applications. WB 1/500. Detects a band of approximately 42 kDa. Immunohistochemistry (Frozen sections) - Anti-CXCR1 antibody (ab14936)Image from Laurén HB et al, PLoS One. 2010 May 20;5(5):e10733, Fig 6.
ab14936 staining CXCR1 in rat whole hippocampus tissue by Immunohistochemistry (Frozen sections). After fixation in 4% PFA in PBS (pH 7.4), brains were cryoprotected in 30% sucrose in PBS at +4°C, frozen, and thereafter kept at -80°C until used. For the immunostaining, brains were cryosectioned in 30 µm slices, collected in PBS (pH 7.4), and processed in a free-floating system. Slices were first incubated in the blocking solution (BS) containing 2% bovine serum albumin, 2% goat serum, and 0.1% Triton X-100 in PBS (pH 7.4) for 1 hour at room temperature, and thereafter with the primary antibody for 24–48 hours at +4°C in BS at a 1/1000 dilution. After washing in PBS, slices were incubated with an Alexa 568 secondary antibody at a 1/2000 dilution. Publishing research using ab14936? Please let us know so that we can cite the reference in this datasheet. The information contained in this message is intended only for the recipient, and may otherwise be privileged and confidential. If the reader of this message is not the intended recipient, or an employee or agent responsible for delivering this message to the intended recipient, please be aware that any dissemination or copying of this communication is strictly prohibited. If you have received this communication in error, please immediately notify us by replying to the message and deleting it from your computer. This footnote also confirms that this email has been scanned for all viruses by the Hampton University Center for Information Technology Enterprise Systems service. We currently only have available the one size listed on the datasheet for a particular antibody. We do not have any CXCR antibody panels at this time. Thank you for your phone call. I have contacted the originator of ab14936 and there have not been any complaints regarding the second batch that you received. I am going to send you a vial from the newest batch of ab14936 that the supplier has, free of charge. Unfortunately, there are not any vials from 88561 left. I will be receiving the vial from the originator in the next couple of days and then I will send it out to you as quickly as possible. Customer wants to know if these antibodies have any carrier proteins. Thank you for your enquiry regarding ab14936 and ab14935. The ab14936 and 14935 both have antibodies to Keyhole limpet hemocyanin, a protien that is phylogenetically very distant from mammalian species. We have not seen any cross reactivity of KLH antibodies to any mammalian proteins. IN some cases there may be some low molecular weight proteins show up that are below 20 kDA. I'm waiting for further details from the supplier of this product. I will email you as soon as I get further information. I am using 2X Sample loading buffer which contains: 1mL glycerol 500uL B-mercaptoethanol 3mL 10% SDS 1.25mL 1M Tris pH 6.7 1-2mg bromophenol blue (Stored at -20 degrees celcius) Is this enough B-mercaptoethanol? I load equal amounts of sample and loading buffer together, heat for 98 degrees celcius, and load onto the gel. Do I need to put on ice to prevent dimerization anytime during preparation of the sample? Also, I ran another Western with a control (no primary), and I did not see any bands. I would appreciate a response. Thanks for getting back to me so quickly. Thanks again for your email. I was able to get the following information from the originator of ab14936 regarding the use of the antibody in Western blotting. If you have any more questions, please contact us again. Dimerization and oligomerization is a known problem with GPCR. These are not disulfide linked bonds that can be reduced by BME or DTT. If you see some of the papers on GPCR you will find plenty of evidence of formation of signal comples that have 2-3 fold more in size than the native protien. See dopamine D2 receptor papers. Most of the functional GPCR are always in the 80-100 kDA range. There is also evidence of G-protein coupling (covalent) to GPCR. My suggestion will be to treat your sample with glycanases (N and O type) to remove the glycocalyx then this protein will be shifted to 40-50 kDa range. 1. Please describe the problem (high background, wrong band size, more bands, no band etc). wrong band size 2. On what material are you testing the antibody in WB? •Species? Human •Cell extract/ Nuclear extract? Whole cell extract •Purified protein? •Recombinant protein? 3. How much protein did you load? 50ug •How did you prepare the lysate for the analysis (protease inhibitors etc)? RIPA Buffer (PMSF, aprotinin, and sodium orthovanadate) •Did you heat the samples? Yes, 98 degrees celcius for 5 minutes 4. Primary Antibody •Specification (in which species was it raised against)? goat polyclonal •At what dilution(s) have you tested this antibody? 1:500 •Incubation time, wash step? 1 hour blocking with 5% non-fat dry milk in TBS/Tween (0.05% Tween)----->1 hour primary antibody---->3X5 minute washes with TBS/Tween---->secondary antibody for 1 hour----> 3X5 minute washed with TBS/Tween----> 1X5 minute wash with TBS---> Luminol 5. Secondary Antibody •Specification (in which species was it raised against)? rabbit anti-goat •At what dilution(s) have you tested this antibody? 1:1000 ; 1:3000 ; 1:5000 •Incubation time, wash step? See previous question •Do you know whether the problems you are experiencing come from the secondary? We have used this secondary many times and received a band in the correct area. 6. What detection method are you using? Chemiluminescence (Luminol) 7. Background bands •Have you eliminated the possibility that any background bands could be due to the secondary antibody? (Run a “No primary” control) No, but in the past I have run a control ( no primary) and it has worked with no other background staining. •Is the blocking step sufficient? (We recommend blocking the membrane by adding 20 ml of blocking buffer (5% non-fat dry milk, 0.1% Tween-20 in TBS). Incubate for 2 h at room temperature or overnight at 4°C with agitation) •Are your washing steps sufficiently stringent? (Multiple short washes are more effective than fewer longer wash steps) •At what size are the bands migrating? Could they be degradation products of your target? •Please provide an image of your blot (as an e-mail attachment, a faxed image is not sufficient) 8. Optimization attempts •How many times have you tried the Western? One time •Do you obtain the same results every time e.g. are background bands always in the same place? •What steps have you altered? 9. Did you apply positive and negative controls along with the samples? Please specify. I added a positive control lanes (Neutrophils) on the blot and it was positive. At times we have seen dimerization of G-protein coupled receptor in various systems including dopamine D2 receptor (Farooqui et. al., 1991 and Sakata et al., 1992). The glycosylation and other post-translational modifications also causes significant shifts in the MW of GPCR. Possible suggestions to get monomeric protein include reduction of sample to reduce the disulfide bonds, and de-glycosylation of the receptor by N and O-glycanases. I am interested in two antibodies: CXCR1 (ab 14936), and CXCR2 (ab 14935). I would mostly be using them for a western. 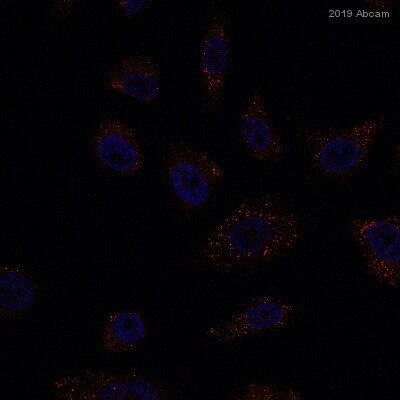 I have purchased these two antibodies from a different company and had bad luck with them. After trying two antibodies for each of them (polyclonal and monoclonal), and troubleshooting with their technical service, we cannot resolve the issue . All of our other westerns work fine with other antibodies. I was wondering if you offer a free sample of these two antibodies before I buy them, or if you offer a discount for the antibodies. Thank you. Thank you very much for your email. We do not routinely offer free or trial sized samples for testing purposes. Our policy at Abcam is that if an antibody does not work as specified on the datasheet, we will offer a replacement or reimbursement. If you have any further questions, please do contact us again.